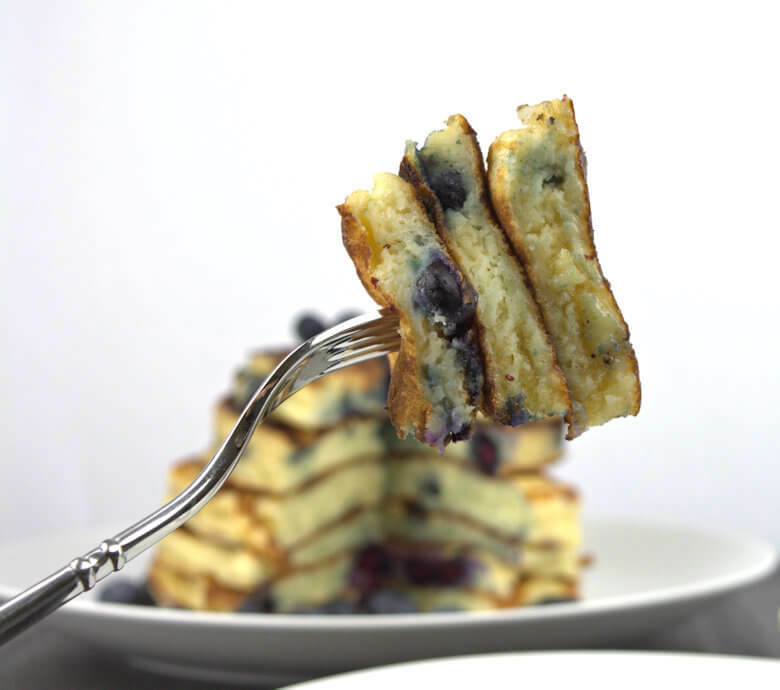 Can it be more traditional than All American Blueberry Buttermilk Pancakes? Just a short stack of fluffy, fruity pancakes is a great way to start your day. Since breakfast is the most important meal of the day, you might as well start the day right. Fill your stomach with the necessary carbs, milk and fruit, add a cup of coffee or tea and you have a meal like a king or queen. I assume that everybody knows that making buttermilk pancakes, involves mixing the wet ingredients (buttermilk, sour cream, vanilla extract, egg) and the dry ingredients (flour, sugar, baking soda, baking powder, salt) and then combine them, and last, but not least, fold in the fruit. I usually bake pancakes a light to dark brown, as you can see, just a little caramelization to add to the flavor. 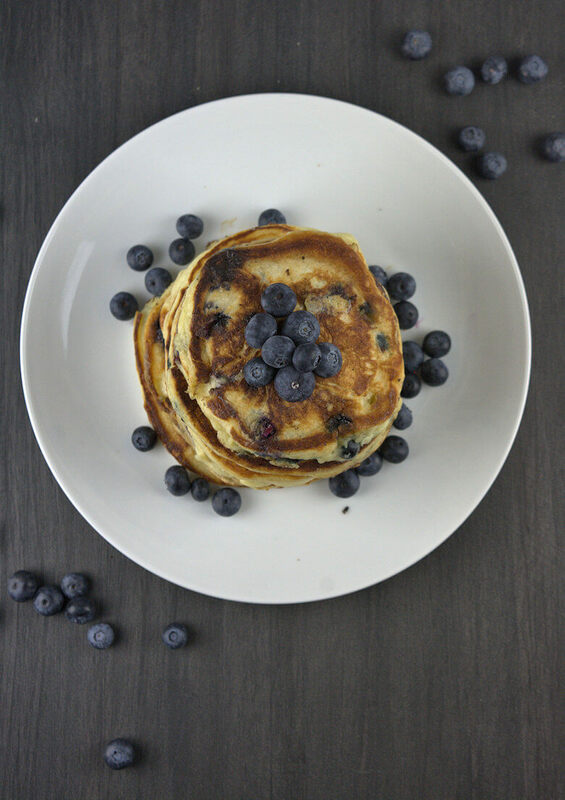 I bake them on medium to low heat to allow them to rise as much as possible, while cooking all the way to the center of the pancake; the all American blueberry buttermilk pancake. If you can resist, use just a little bit of maple syrup, as that’s the additional sugar you don’t necessarily need. I know it makes it taste better, but to start with a sugar high in the morning is not optimal. When you’re going to work, you may be risking a sugar low half way through the morning. 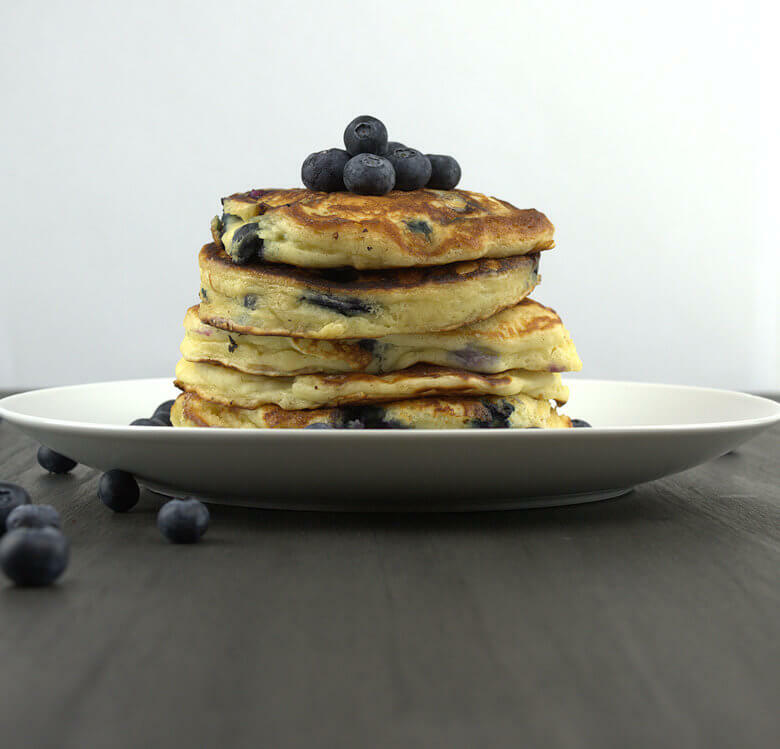 If you can stay home, by all means try these All American Blueberry Buttermilk Pancakes; they are simply delicious. 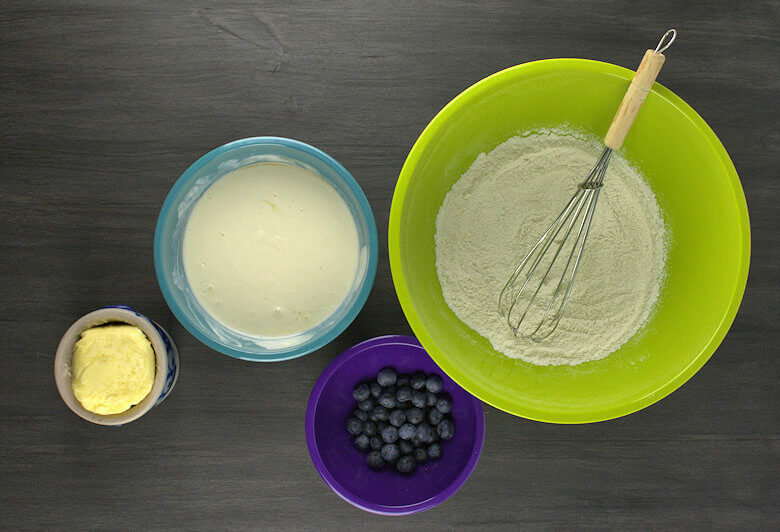 Whisk the dry ingredients (flour - salt) in a large bowl. Whisk the egg in a bowl and add the buttermilk, vanilla extract and sour cream and mix. Add the dry ingredients and mix again. Don't overmix, you want to keep as much air in the batter as possible. Fold in the blueberries and you're ready to start cooking. Melt a little bit of butter on a griddle or in a large skillet. Pour batter onto the griddle on medium to low heat. Depending on the size of the griddle / skillet you can cook 2-3 at a time or even more. Cook until the bubble in the batter break, about 3 minutes. Turn the pancakes and bake again until your favorite color has been reached. Transfer to warmed plates. Repeat process with remaining batter. Serve immediately with butter and warm maple syrup, if desired.